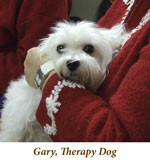 The essence of this legend is at the heart of Best Friends Pet Assisted Therapy. Established in August 2006, the group celebrates this unspoken bond that exists between humans and canines. Offering volunteer services to people in need, primarily in the Miami Valley and Southwest Ohio, Best Friends is guided by two founding principles. First, to raise awareness of the benefits of pet assisted therapy in a variety of settings including hospitals, nursing homes, schools, libraries, and women’s centers and secondly, to help people and their pets interested in becoming pet assisted therapy teams to realize this worthwhile goal. During the past decade, pet assisted therapy has grown from the occasional presence of a nursing home cat to a broad program working with all types of animals to aid humans as they heal from physical and emotional wounds as well as to provide the unconditional love and support so critical to the development of all beings. We've reached out to connect with people in Clark County, Greene County, Montgomery County, Champaign County, Miami County, Clinton County, Warren County, Delaware County, Butler County, Union County, Franklin County, Hamilton County, and Brown County. We also have reached out to connect with people in four other states: Kentucky, West Virginia, Virginia, and Florida. We also now have the first pet therapy teams visiting travelers at the Dayton, OH, International Airport to help nervous travelers be more at ease. This team also sends off and greets the former military men and women that travel to Washington, DC, on Honor Flight to see the military memorials that honor them. The teams of Best Friends are happy and proud to share the love of their family pets with people in need throughout the community. These noble creatures that give so much and ask so little in return are among the most engaging traveling companions we will meet on this journey. Welcome! Note: The dogs and their owners pictured throughout this site are members of Best Friends Pet Assisted Therapy (unless otherwise noted) serving the Miami Valley in Southwest Ohio. 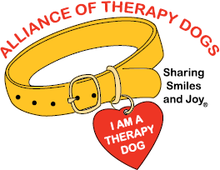 To find out how you can support Best Friends Pet Assisted Therapy, check out our links page!